The Arcachon Basin at your feet! 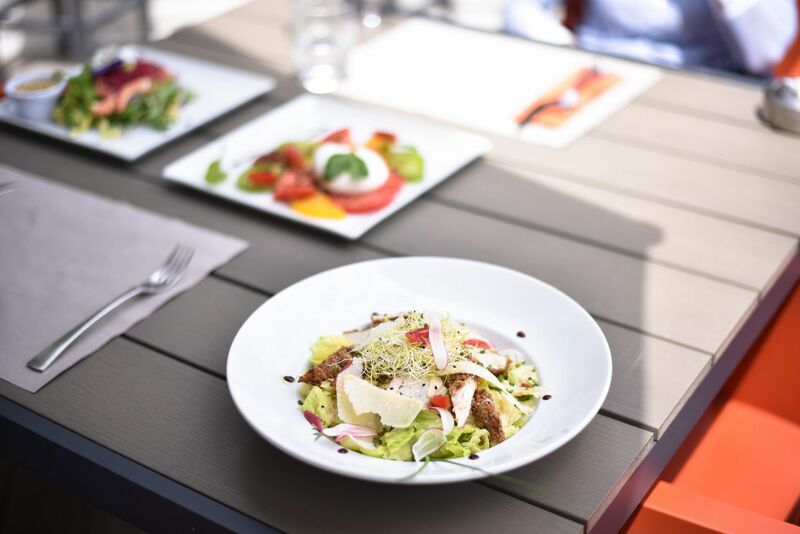 In the summer, the Côté Sable brewery invites you to share and enjoy conversation around a beautiful platter of delicacies. Fresh produce is transformed into flavourfully blended harmonies. 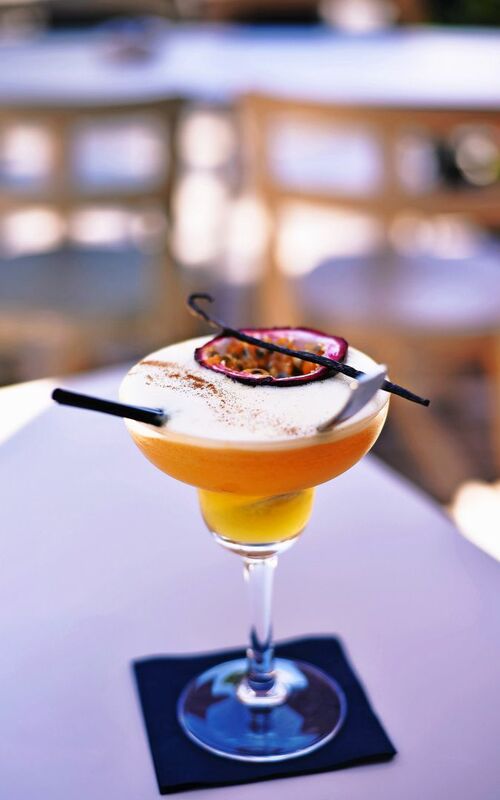 Ideally located in Cap Ferret, facing the beach, the brasserie offers a refreshing menu, to discover on the sunny terrace with the Arcachon Basin as a backdrop. Tapas, charcuterie and cheese boards, desserts ... served all day in season. 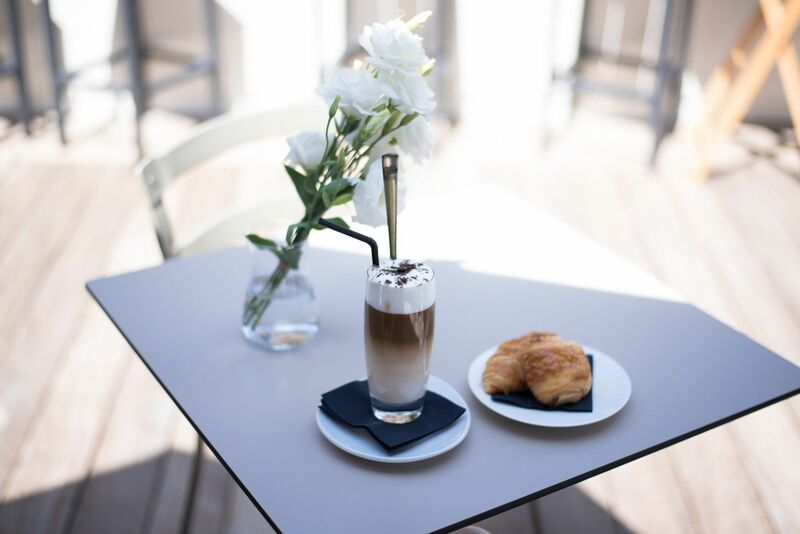 Looking for a casual and refined place in Cap Ferret for a relaxing break? Welcome to our tea room & bar, facing the sea, open all year round. You can enjoy the cocooning spirit of our house by settling comfortably inside or on our outdoor terrace, designed by Philippe Hurel, creator of exceptional furniture. In the morning facing the pool, enjoy a delicious breakfast. In the afternoon after a long walk by the sea, drink a tea or eat a homemade pastry to recharge yourself. 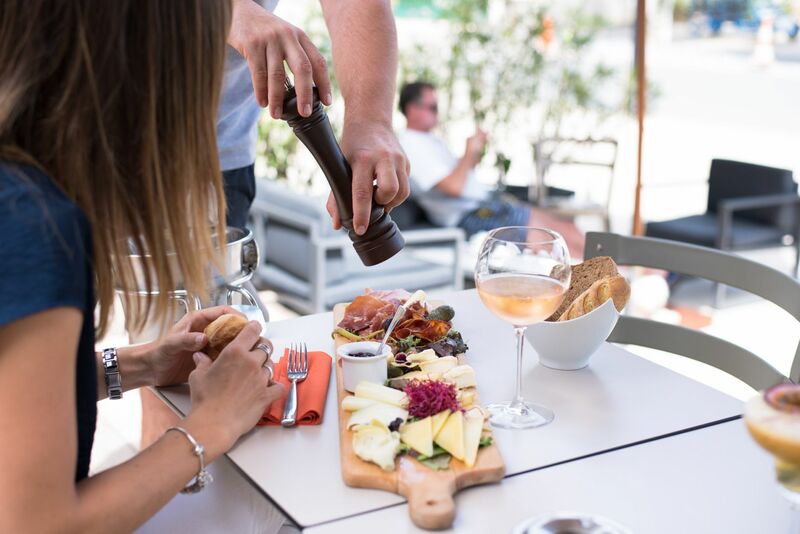 In the evening, by the light of the setting sun, have a drink accompanied by tapas to create unforgettable memories ... all the happiness of moments shared in the setting of the Arcachon Basin. From June to mid-September, the tea room offers lunch à la carte: entrées, platters and homemade desserts based on local and seasonal products. The Hotel Côté Sable's Tea Room **** is open every day. 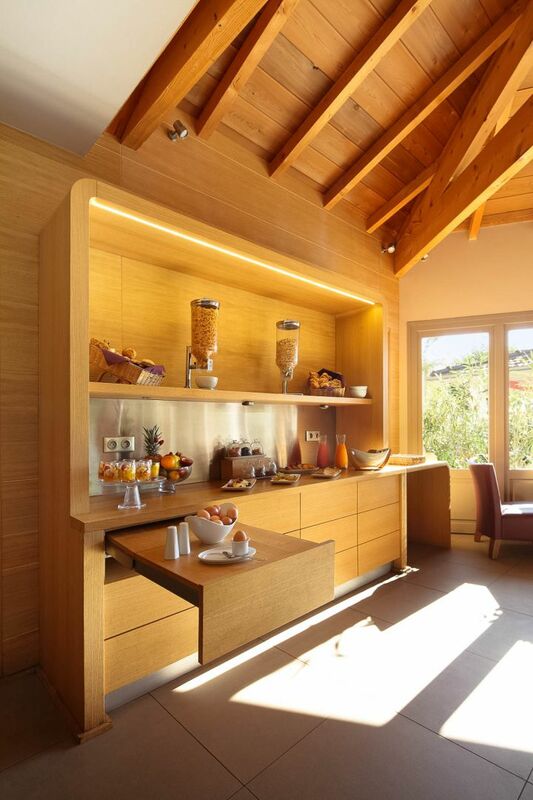 From 8h, the breakfast is in the form of a continental buffet and is served indoors or on the terrace. Several formulas are available to you (Express, Traditional or Complete). From noon, a buffet of pastries is available for our guests staying at the hotel. It is priced at € 8 for outside customers. From noon until 9.30 pm, the tea room also offers three types of tapas: a bistronomic offering accompanied by a glass of wine or refreshing drinks, a deli-cheese board, a fresh cheese board and a seafood board. A Room Service menu is also available until 9.30 pm to hotel guests.